Up until a few years ago, for the people that entered the Corso Regina, there was a sign "da Nino" and probably most of the people that live in Maiori or visit the town frequently or less, still call this restaurant with that name. Recently refurbished, the restaurant "Dedalo" opens into a large internal room, where the wood of the parquet floor, the furniture and the walls racks with an important selection of wines dominate the sight, whilst a cool outside setting is available for the Summer months. 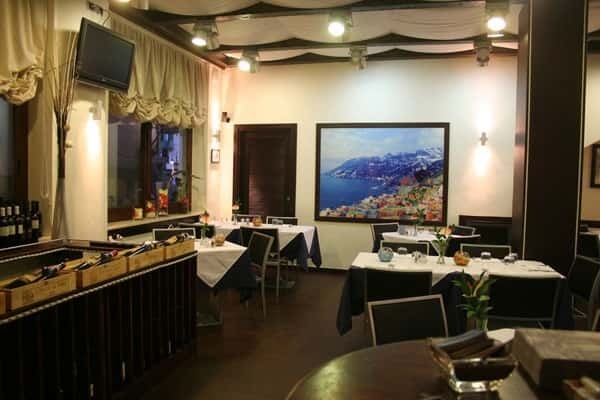 The restaurant, runned by a Family with a long tradition in this business, is located at 30 meters from the sea, along the high street of the city centre of this picturesque town of the Amalfi Coast. 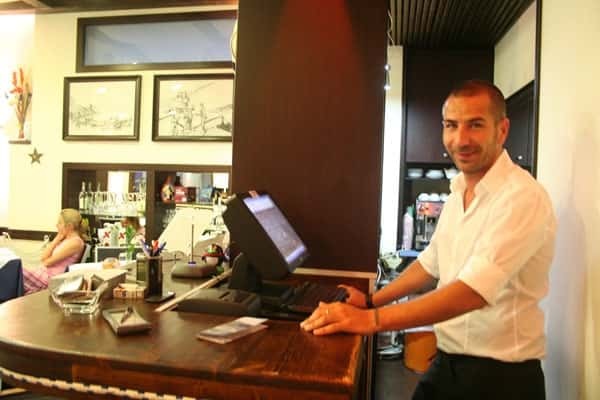 The creativity and the imagination of the Chef Giuseppe Apicella are the restaurant's strong points with a "maze" (dedalo in Italian) combination of local products transformed into new sensory taste experiences. Starting with the symbol product of Amalfi Coast, the "sfusato amalfitano" IGP lemon and making the most of each one of its food properties, the chef proposes a full menu, awarded by the local Tourist Board in 2008 during the event "Lemon Juice". The hors d'oeuvre is a lemon flavoured pizza, topped with mozzarella cheese, fresh ricotta cheese, cherry tomatoes and lemon peel: perfect in all its aspects. First course: a taste of ravioli filled with ricotta cheese and prawns cooked in a lemon sauce, a perfect combination of the slightly sour taste of the lemon and the sweetness of the ricotta cheese. The mixture of the flavours of the sea and of the hillside harmonize and rejoice with the various colors of the hors d'oeuvre, a series of appetizers that propose all the traditions of the Neapolitan cooking: stuffed squid, marinated anchovies, octopus salad, squid and potatoes cooked in tomato sauce, prawns salad with rocket herb and thin slices of parmisan cheese; codling au gratin and cuttlefish with broccoli (one of the chef's specialities, a perfect combination that emphasizes the aromatic taste of the broccoli to the sweet one of the cuttlefish ). This selection as a starter could be compared to a full meal, but it is just the beginning of a short review of tastes that compensate all your senses . Please try the paccheri (Pasta) di Gragnano with prawn, cuttlefish and squid sauce or the scialatiello (home-made pasta) with zucchini blossom, courgette, prawn and clam sauce. Your senses will thank you for sure. In the Summer Season the traditional dessert of Maiori are the Aubergines with chocolate sauce, an antique recipe which propose deep fried slices of aubergine (egg plant) covered with a mixture of aromas, a julienne of sugared lime and orange and a layer of thick dark chocolate sauce. The best wine combination to these specialities is an Aliseo Colli di Salerno IGT 2007 of the Azienda Agricola Reale of Tramonti, a simple wine with a strong fruity taste.